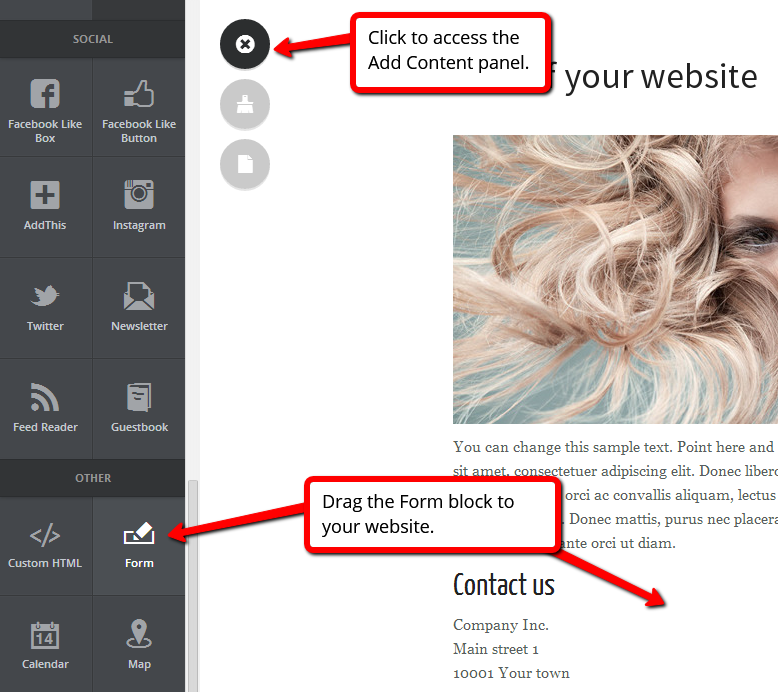 Create your own custom webform. 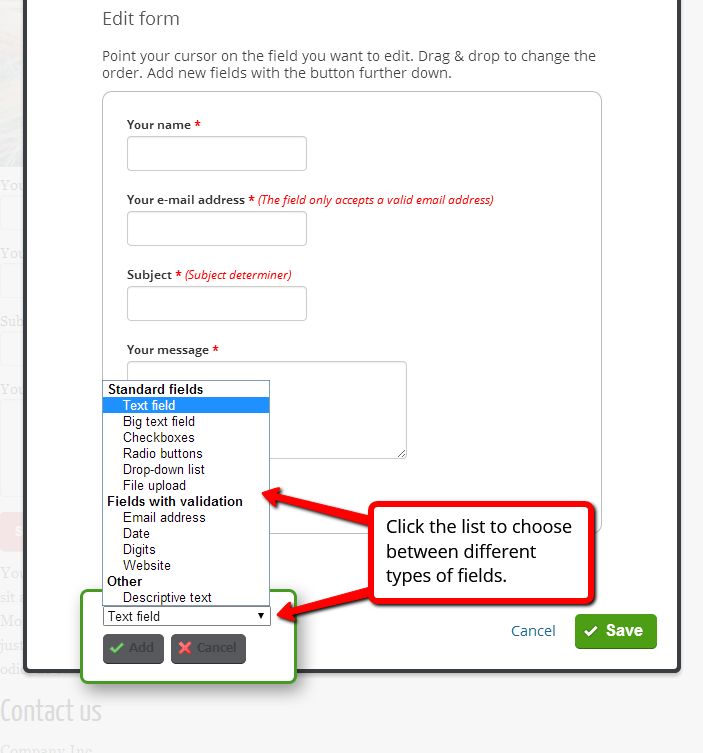 Create your own forms and choose between a wide range of fields, lists and checkboxes. See your replies directly in the PagePicnic tool. Move fields by dragging and releasing them just like when arranging blocks on your website. 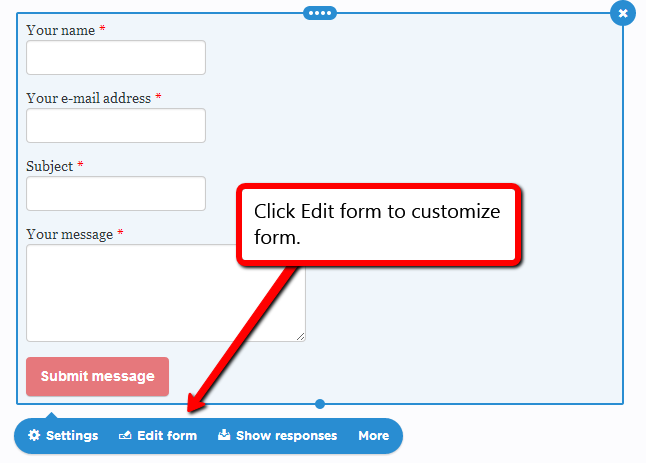 Export your form replies in .xml or .csv-formats. 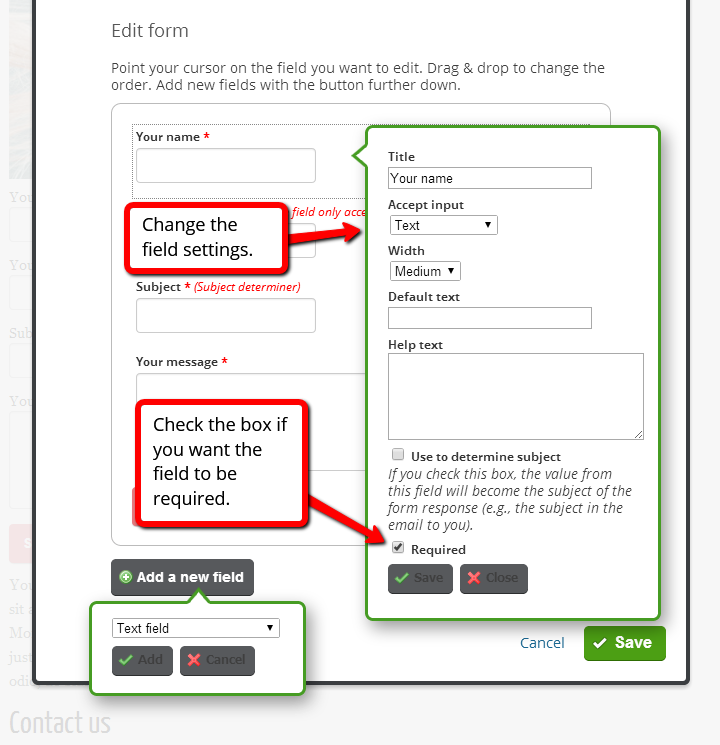 When adding a new field you can choose between different types of fields. When you click Edit next to a field, this dialog box will appear. 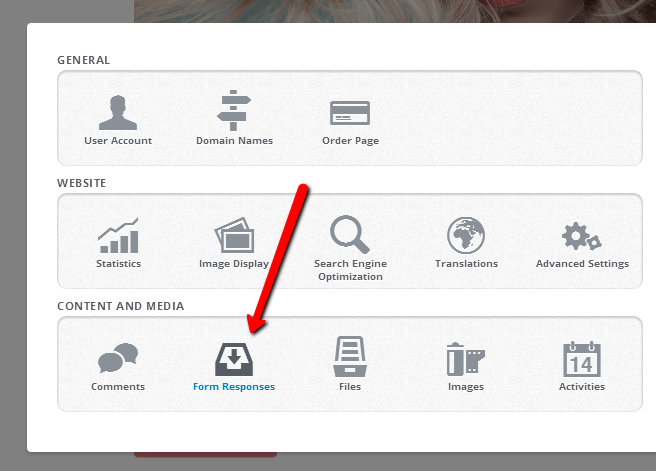 You can customize your form further by going to the Settings panel. Among other things, you can define error messages and auto replies. Click on “settings” to view side panel. 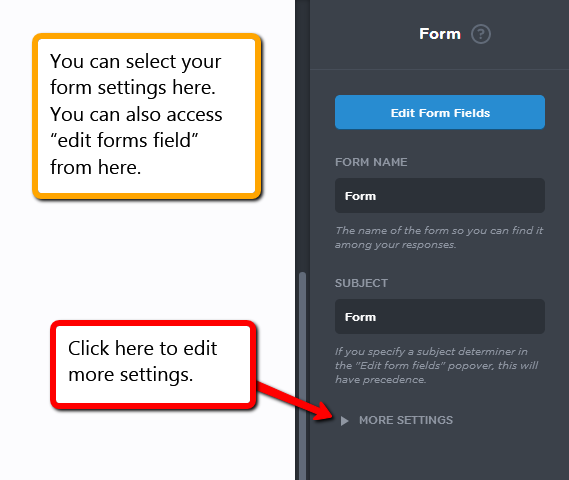 You can access your form responses in two different ways. 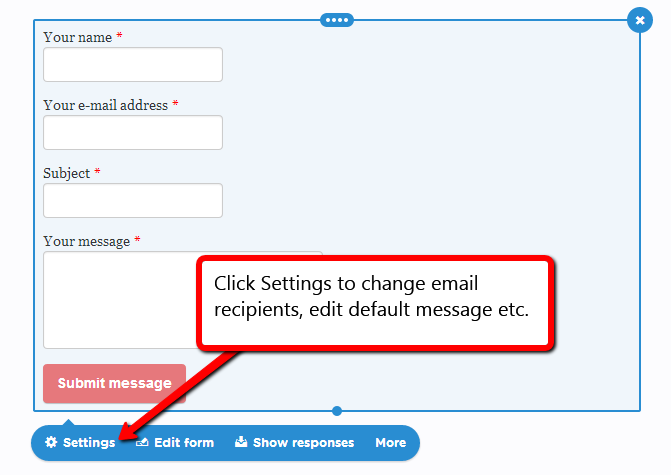 By going to the Control Panel and selecting Form Responses, or by simply clicking the Show responses button in the Form panel. 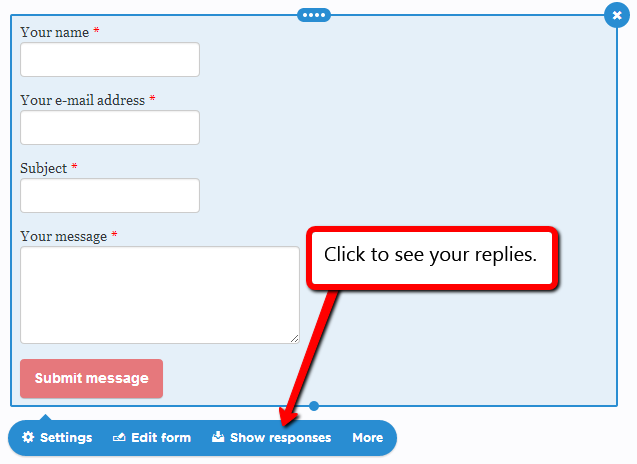 Click Show responses to reach this box. Here, you can manage your replies and see more information about the entries. Export your responses by clicking Export to .CSV/.XLS to view them in an Excel document. 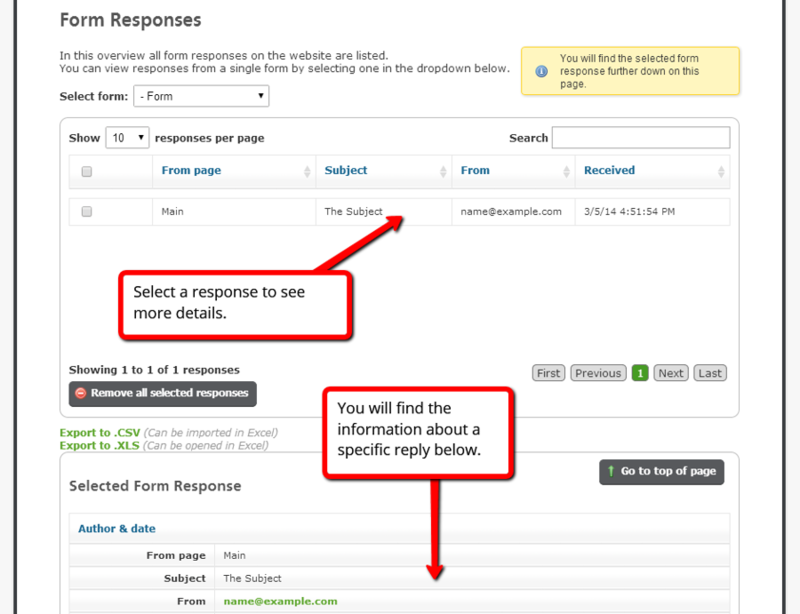 You can send an auto reply message with a copy of the response to visitors who fill in the form. Please note that this requires an email address entry - by making this field required, you make sure that everyone who fills in the form gets an auto reply. 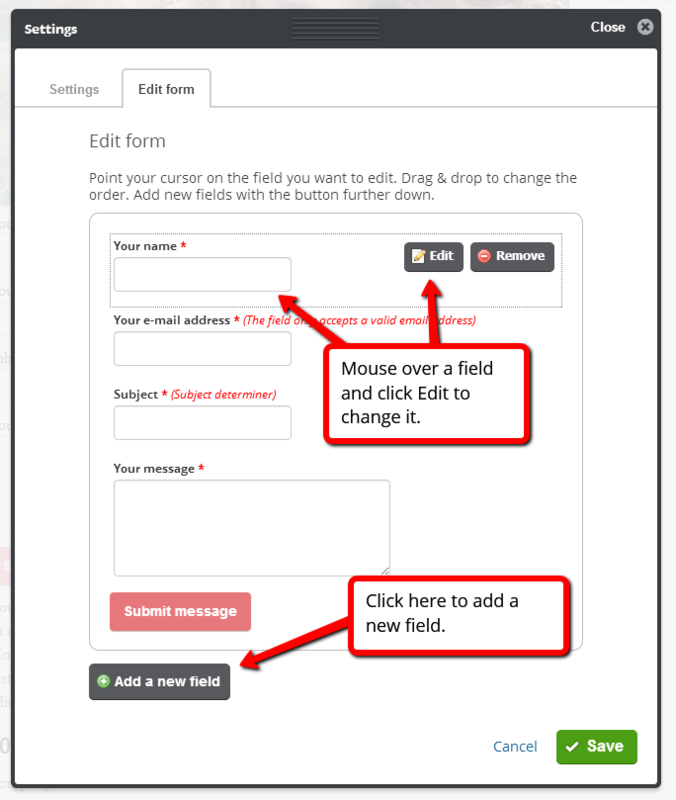 Click Settings in your Form panel and click More Settings and activate auto reply. 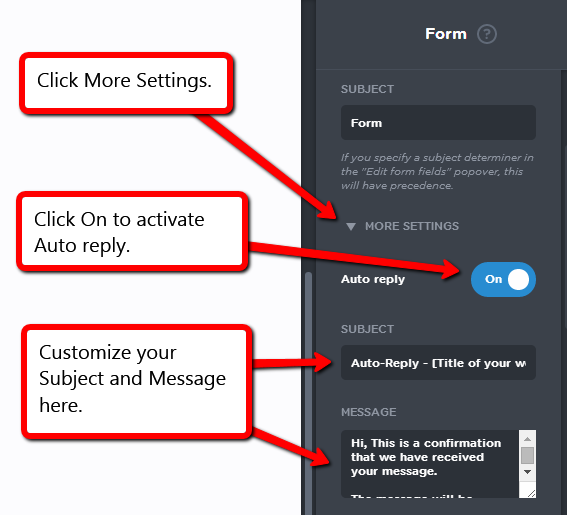 Customize the auto reply in the way you like and check Include response values to attach a copy of the form entry in the email.